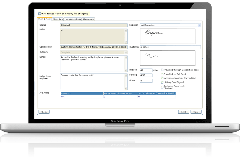 The Job Management tool takes the timesheet application a few steps further, allowing engineers to log detailed information about the work carried out on each job. The engineer uses a simple PDA or iPhone application to enter their work descriptions as shown below. We include a standard sentence manager so that they quickly enter text without the need to fiddle about with a little keyboard. They can also enter the details of parts used and parts that they need you to order and quote for to complete the job. 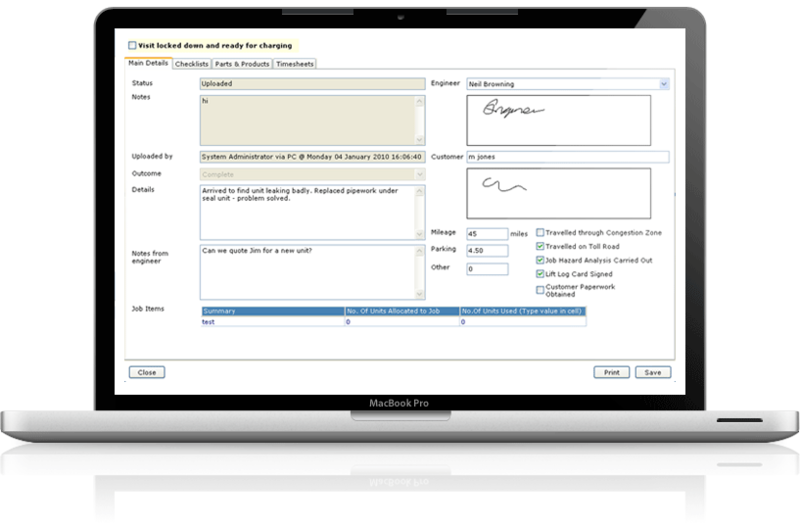 As well as logging follow up work they can capture the customer’s signature for each job and log the details of any expenses. You can then track the actual costs of each job, taking the guess work out of analysing the profitability.